The Lithuanian charter airline is eyeing Scandinavia while, intriguingly, ceding UK frequencies to Scandinavian rival. 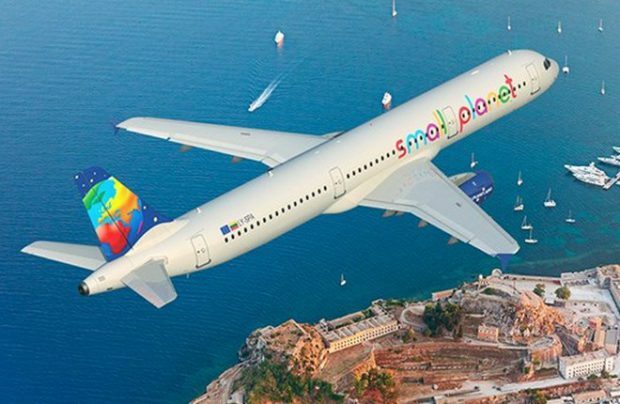 Lithuanian specialist leisure charter carrier Small Planet Airlines is to open two new European bases in 2018: at Chania on the Greek island of Crete and at Arlanda airport, which serves Sweden’s capital city Stockholm. In partnership with major Scandinavian tour operators, the airline intends to offer holiday destination flights to Albania, Croatia, Greece, and the Canary Islands. The latest development intriguingly follows a major 2018 expansion move by Scandinavian low-cost rival carrier Norwegian, whose 28 new weekly take-off and landing slots at London Gatwick airport are expected to trigger the airline’s biggest ever year in the UK. Norwegian acquired the additional Gatwick slots from Small Planet Airlines. Small Planet’s altered emphasis means that, starting from April 2018, its new Mediterranean services will be performed by two Airbus A320 aircraft, operating twice a day and, as the carrier hopes, transporting up to 170,000 passengers during the seven months of the summer season. Small Planet chose Crete as a new base due to the geographical location, which enables the airline to expand its route map and connect with multiple Scandinavian airports from one base in the Mediterranean. Last summer, Small Planet utilized 22 Airbus aircraft operating from nine European bases. The airline plans to increase its fleet to up to 28 airliners in 2018. It is as yet unclear why Small Planet disposed of its Gatwick slots to a European rival, especially one from Scandinavia – a market the Vilnius-based airline is openly targeting. London Gatwick is at the heart of Norwegian’s fast-growing UK operation, where the airline already flies more than 4.6 million passengers each year to more than 30 global destinations. Norwegian’s route network from Gatwick includes long-haul flights to nine US cities, as well as to Singapore, with new long-haul routes to Argentina, Chicago, and Austin (Texas) planned for early this year.